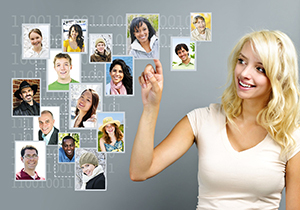 No doubt Facebook is here to stay, and is growing as a way for businesses to market themselves. And a Facebook page is a must for your tennis business. “I’m not into Facebook, just not into it, don’t want to know what my friends had for breakfast etc. etc. Well, don’t worry – what we are talking about here is a Facebook business page. People who ‘like’ your page will not see personal info about you, other than the information about your tennis business that you choose to show. But what is great is that every time you post something on your Facebook page, it will be seen by everyone who ‘likes’ your page, and if they interact by commenting / liking / sharing, that will be seen by their friends – this is the viral nature of social media. Ok, before we go any further, do me a favour and Like my Facebook page. Thanks! I won’t try to reinvent the wheel here. The good folks at Ibrandyourbusiness have created a video showing you how to set up your Facebook page in 2014. REALLY quick and easy. Here it is (click bottom right to go full screen)……. 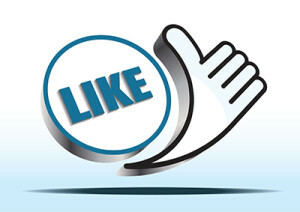 The video above showed you the first few ways to get some likes to your page. Here are some more ways – after all, your posts are only going to be seen by people who like your page – and maybe their friends. Please add your own ideas in the comments section below. There is a book called Jab, Jab, Jab, Right Hook by Gary Vaynerchuk (buy on Amazon.co.uk / buy on Amazon.com). Actually I haven’t read it, and I think it is maybe a bit too advanced for our purposes here, but the boxing analogy is great. The three jabs basically represent giving some value on your Facebook page – after all, it is social media. So this might mean posting a good video, article, funny picture, tips / advice, asking people’s opinions on things. Then the right hook represents selling, i.e. ‘taking bookings for our tennis camps now’. We want to get the right proportions of both, so give lots of value – post interesting and fun things on your page, get people involved, ask opinions. Then when you do promote yourself, people will be more than happy. It’s also important to post regularly on your page to keep up the interest. You can go very deep into the subject of Facebook marketing – I’ll do a post on Facebook ads soon. But this should be enough to get the ball rolling (pun intended). Karl Greetings fr George(south africa)I’m a pro tennis coach who has coached in florida(usa)/spain/mauritius/sa and find your fb/www pg’s fantastic/refreshing/informative and professional..